FINE GAEL’S ARD Fheis was subject to a security alert this afternoon, which led to the temporary evacuation of the hall where Enda Kenny is due to speak later. The main hall in the Citywest Hotel was evacuated at around 3pm after an item, believed to be an empty plastic shotgun cartridge, was found behind the stage. 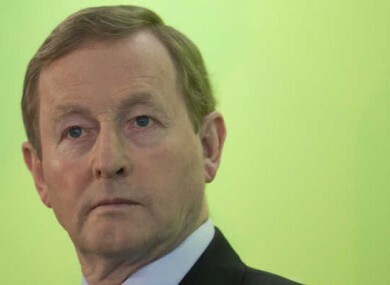 The alert came around four hours before Kenny is due to make his opening address to thousands of Fine Gael delegates at the west Dublin venue. The Taoiseach was not in the building at the time. The main hall was cleared as gardaí and sniffer dogs swept the room before it was declared safe. Asked about the security threat this evening, Finance Minister Michael Noonan said he wasn’t worried. I didn’t hear anything about security threats, but I’ve been coming to Fine Gael Ard Fheises since the 1970s and there are frequent security threats. We haven’t come across a real one yet. There remains a heavy garda and security presence at Citywest ahead of the two-day conference. Email “Security alert at Fine Gael Ard Fheis after suspect cartridge found”. Feedback on “Security alert at Fine Gael Ard Fheis after suspect cartridge found”.